Mormon Wookiee: #36: New "Friend" website is great for Primary lessons. #36: New "Friend" website is great for Primary lessons. Happy Sunday! Tonight while we were at my parents' house for dinner, my mom showed me a rad new website for Primary teachers. Since I am a Primary teacher myself, I was particulary excited. Check it out at http://lds.org/children/resources?lang=eng. The website is still brand new, so it's not fully fleshed out yet. Give it a little time, and I think this will be the best new Primary supplement outside of http://www.sugardoodle.net. Since the official Primary manuals are only updated every decade or so, the new website is a great resource if teachers want to use more current stories and talks. For example, today's lesson was "Lesson 2: Nephi Follows His Father, the Prophet". 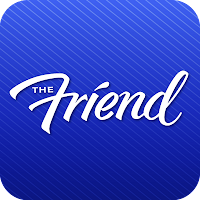 On the new website there are stories from "The Friend" (the Church's magazine for children) from 2003, 2008, and 2011 (rather than stuff from the 90's in the manual). Additionally, there are videos and music that you can download and show to your class (Unfortunately, "Return of the Jedi" is not available as a download). Videos and music. Kid tested. Mother approved. Let's say you want to look for kid-centric resources about "Agency", "Baptism", or "Faith". Previously, there was no great repository of LDS topics specifically designed for kids. Well, now there is! (Or at least, there soon will be--like I said, it's still a work-in-progress). I am looking forward to see what the new site has in store! Great site, we have been using Sugardoodle for years, this will make the LDS resources even more usable. Thanks , and thank you mom. Thank you, Jocelyn! My mom showed me your blog on Sunday night. I hink it is fantastic! I have really enjoyed sharing my testimony (and, of course, my love of Star Wars) these last few months. Hopefully I can make a difference to somebody. Thanks again for your support. Thanks for this post, and for your use of the word RAD!